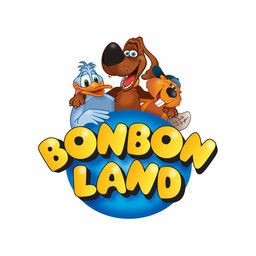 BonBon-Land – Maskotjagten is an app developed for Android and iOS phones and tablets for the Danish amusement park BonBon Land. The app utilizes AR (Augmented Reality) to scan and collect the BonBon mascots spread throughout the park. By scanning one of the several markers you get to play a game with the associated mascot. The app was designed with multiple purposes in mind, these were: queue activation, handling park flow, providing families with an alternative social activity. Trivial Business is an app developed for Android and iOS phones and tablets in association with the company Trivial Business. The app utilizes Insightful Gamification to keep employees updated with changes to the company’s values and curriculum. The game is played by moving across a board filled with colored tiles. each colored tile is associated with a question from a category. By answering the questions the tiles turn white and is unlocked for free movement. The game is mainly targeting on-boarding for Companies by providing a fun and engaging way to learn more about your job, the associated company or just connecting with your colleagues. The app has yet to be fully released, but should be available during 2018. EduGaim has since the founding days of Fenrir Game Studio been one our closest collaborators and will continue to be so for years to come. This is mainly due to the fact that we have a common believe in how games can help change the world for the better. Most of our collaborative work has involved designing and developing game projects for teaching purposes. In addition we have taught various game development aspects such as game design, programming or computer graphics for numerous schools and institutions. During our collaboration we have take part in projects such as chemistry based game workshops, Ice age VR (Virtual Reality) visualizations and more. EduMode has had a long lasting collaboration with Fenrir Game Studio rooted in the times before our company was founded. Since our companies are similar in terms of workflow, we mainly help with technical and management guidance. Recently we have been partaking in the development of Robot Laser Tag II which is a multiplayer First Person Shooter game for children. The goal is to provide an immersive and fun way to learn subjects such as Math. BonBon Land Maskotjagten is an app developed for Android and iOS phones and tablets for the Danish amusement park BonBon Land. The app utilizes AR (Augmented Reality) to scan and collect the BonBon mascots spread throughout the park. By scanning one of the several markers you get to play a game with the associated mascot.